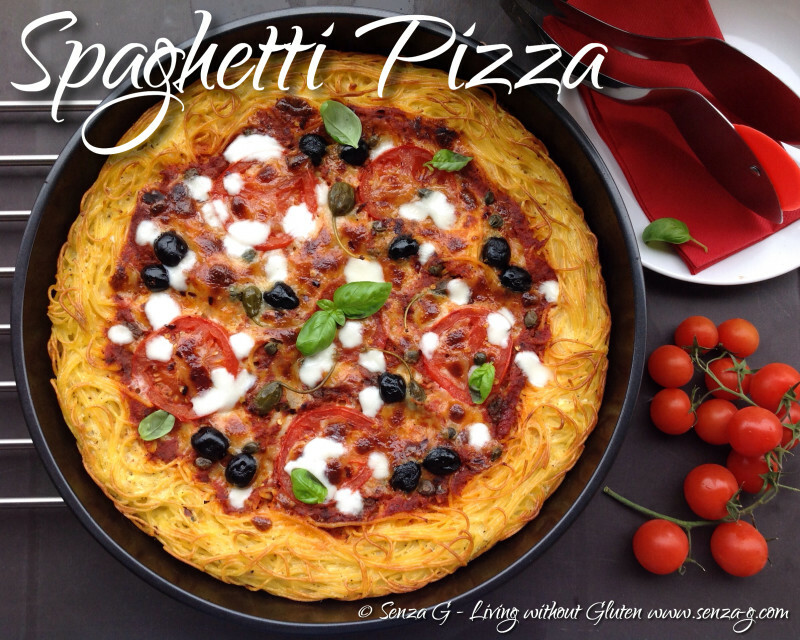 Is it Pasta or Pizza? It is a a bit of both! You have got to try this … it looks good and tastes even better! Boil the spaghetti until al dente. In the meantime, slice the tomato and dice the mozzarella. In a bowl. Beat the eggs with the cream and the milk. Add some garlic pepper, chilli if using, a sprinkle of oregano, the grated Parmesan and season with salt & pepper. Set aside. Oil a pizza pan lightly with some olive oil. When the spaghetti is ready, drain and put back in the pot. 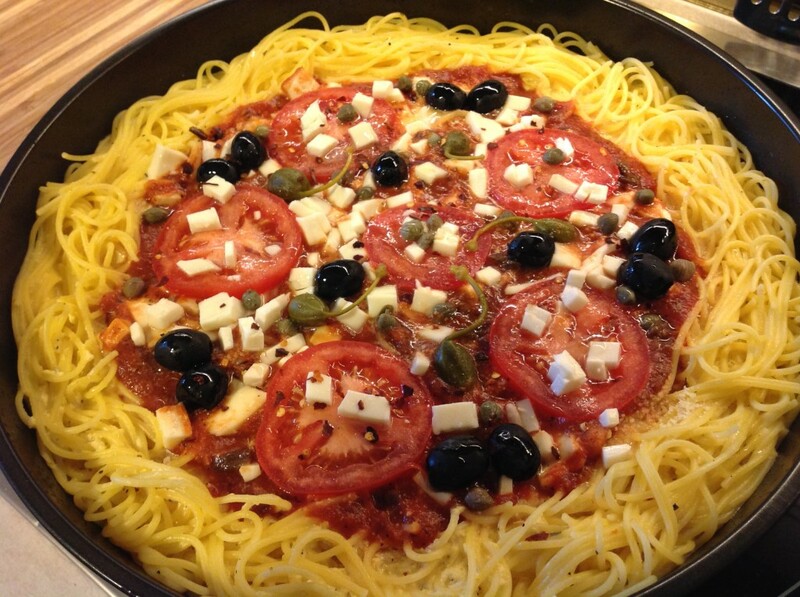 Add the egg mixture and combine well with the spaghetti. Pour this mixture in your pizza pan. Spread the spaghetti all around the pan. Place some diced mozzarella in the middle followed by the tomato sauce, leaving a border round the edge to look like the crust of a pizza. 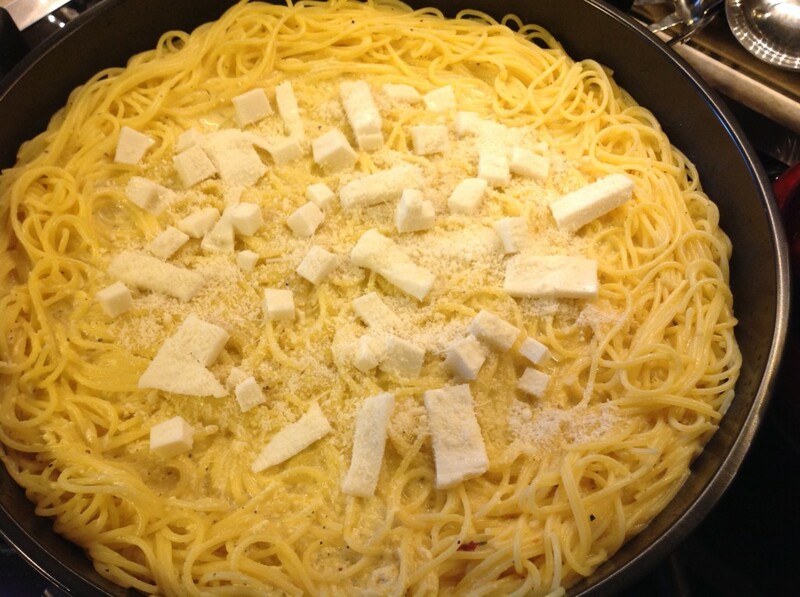 Top with more mozzarella and parmesan. Place slices of tomato on top, followed by the olives, the capers and anchovies if using. Season with salt and freshly ground pepper. Place in the oven and bake for approximately 20 to 30 minutes. Before the thirty minutes are up, take out the pizza and scatter with a little more mozzarella. Put back in the oven. When the ‘crust’ is golden and the mozzarella has melted, take out and leave to cool slightly before garnishing with fresh basil leaves.